Avicenna's Mum, Joanne, works as a bank teller to pay the bills but Astrology is in her blood. She uses charts to track customers' present and past, and to help them divine their future. But astrology attracts all the wrong sorts, including stalkers. When Joanne goes missing and men break into the apartment in search of her shortly after, Avicenna has to face the eventuality her Mum tried to prepare her for. But it's so much more complicated than that. When the police look in all the wrong places, Avicenna reluctantly uses her own ability to divine but she's rusty from denial. Then there's Simon, tall, dark, brooding. He refuses to leave her alone. Will he be more help or hindrance? And what about the crazy guys who broke into her apartment? When Avicenna finds her mother's journal, her world spins out of control. There is so much about her mother she didn't know. When a link between Joanne's disappearance and a cold-case murder emerges, Avicenna decides to take matters into her own hands. She has no idea of the danger she places herself in but we as readers do. 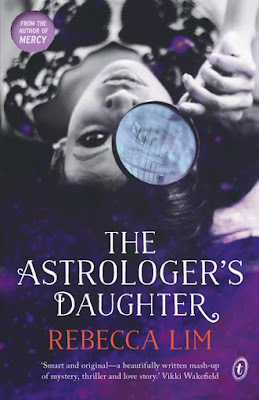 I rarely read books more than once but The Astrologer's Daughter is a reread favourite. With fast-paced action, more than one romantic interest and twists all over the place, nothing is as it seems. Be prepared to lose a few hours on this roller coaster of a ride.